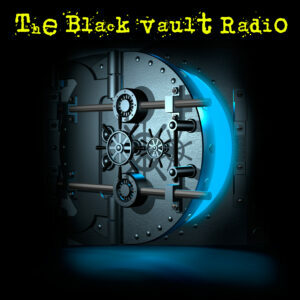 The following case was submitted to The Black Vault / TBV Investigations on April 4, 2018. 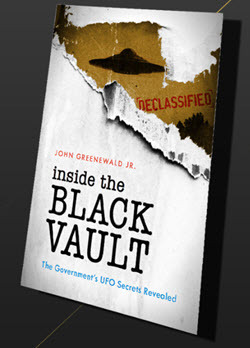 It was assigned to TBV Investigations’ researcher Michael Glenn for analysis. “I was flying from Finland to Japan (Tokyo) and everybody was sleeping in airplane, lights was off. 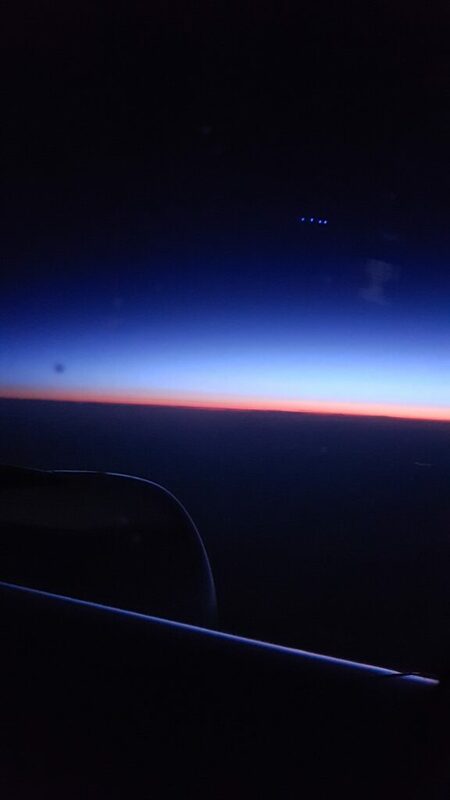 I took fast picture from airplane window, because of beautiful sunrise. Later I was checking out pictures which I have took and I saw these four blue dots and I don’t have any idea what those are. There wasn’t any lights like this inside of the airplane, so I don’t think those are any reflections from window. To me those “dots” UFO’S(?) looks they are far away, flying near atmosphere. 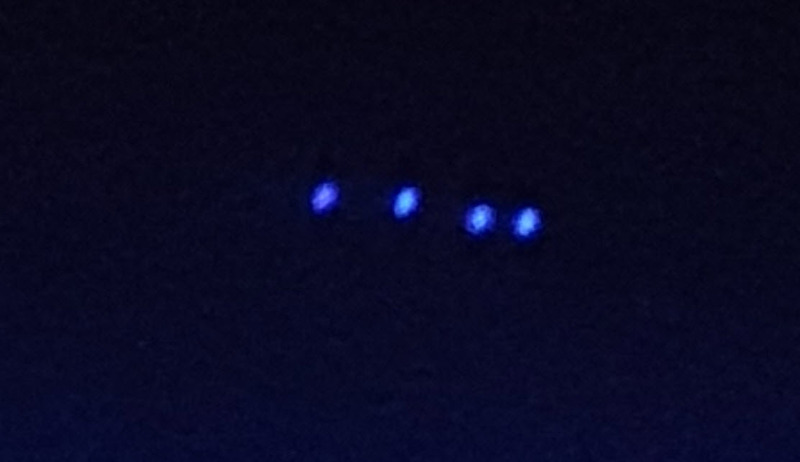 Zoomed and Cropped to illustrate “UFOs” in the photograph. 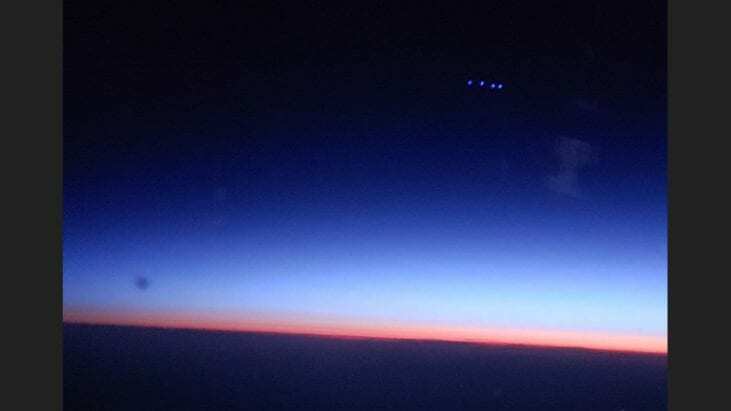 The image is taken from inside a lit aircraft, traveling at sunset. There are reflections in the window in the same general area as the objects of interest. 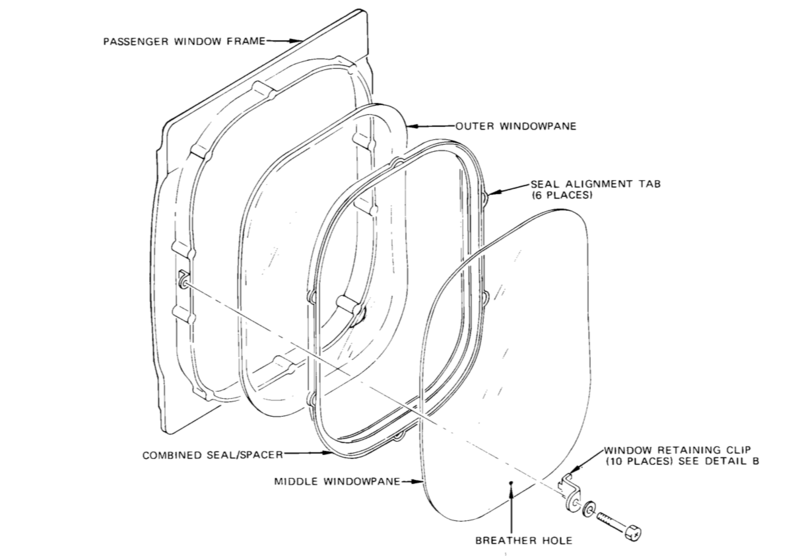 After looking over aircraft window schematics, the likely reason for the lights in the sky is a double reflection from the dual pane windows. The lights are likely overhead lights from the airplane interior. When zooming in the four dots are actually only two, repeated in the second pane of acrylic. 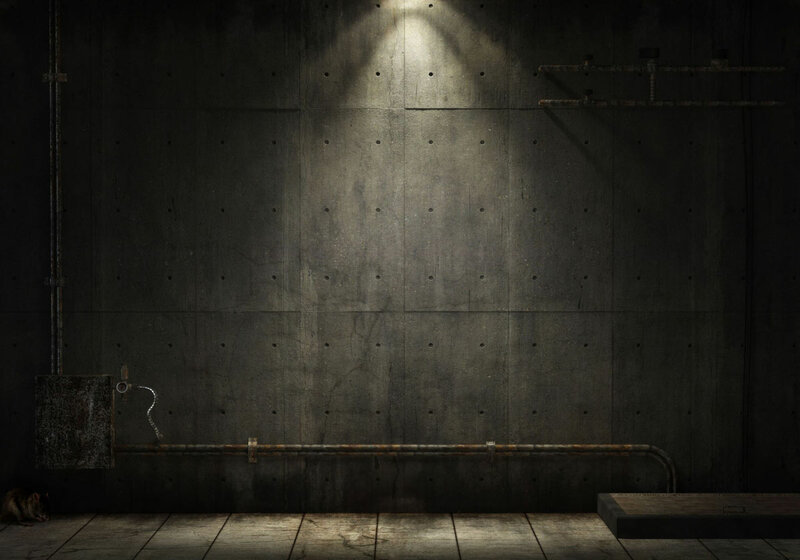 The angle is consistent with lights that would be above the witness’ head. While other explanations are possible, the reflectivity of the windows is the most likely culprit in this situation. 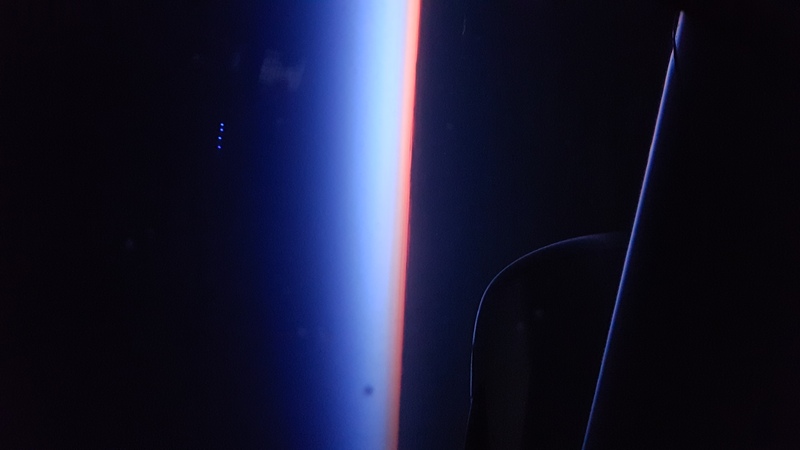 It is noted that the witness believed no other lights were on in the cabin, but since they did not notice the lights when taking the photograph, they may have just as easily missed reading lights on from across the aisle. It should also be noted, depending on the direction of the camera, the lights in relation to the witness’ seat, etc., the lights could be on in a dark aircraft at a distance not noticeable to the witness, but were reflected in the window and captured on camera. The following also illustrates where other likely reflection from inside the cabin reside.